S’mores. Just the mention of them brings a giant smile to most kiddos. 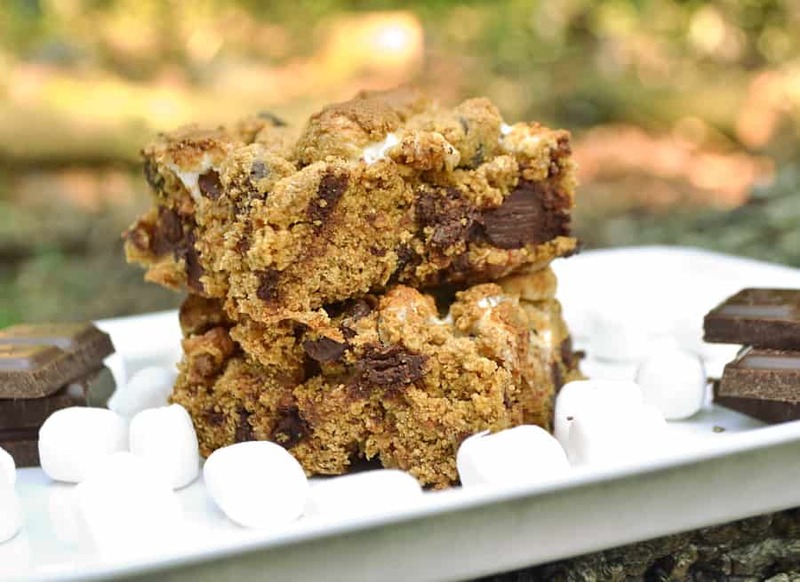 With every campfire comes roasting of marshmallows and the giddy assembling of the messy, gooey chocolate sandwich. Those indoor folks who don’t do fires have adapted and found a 1,000 ways to make the classic S’more and then some. I’ll be the first to admit that I’m not one of those S’mores fanatics. Actually, I could do without. I like the graham crackers, I love the chocolate, but there’s something about marshmallows that just rub me the wrong way. Perhaps it’s a texture thing, maybe it’s from being vegetarian for so many years or it could be some leftover trauma from watching some silly B horror movie called “The Stuff” when I was a kid (lol). For whatever ridiculous reason, marshmallows aren’t really my thing. Marshmallows are everyone else’s thing, though. In case you didn’t know, I totally bake for hugs & smiles. This recipe is super easy. It may even look familiar to you. I’ve added just one ingredient to my Chewy Chocolate Graham Cracker Bars. You guessed it, marshmallows. These bars take about 5 minutes to mix together and about 25 minutes to bake. Quick. Effortless. Awesome. 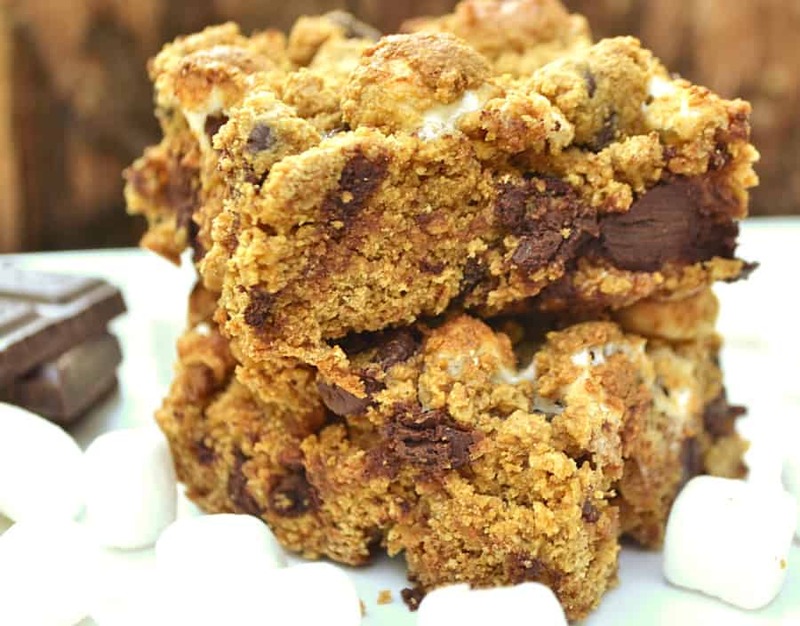 So get your S’mores fix in with this indoor, soon to be cool weather recipe. 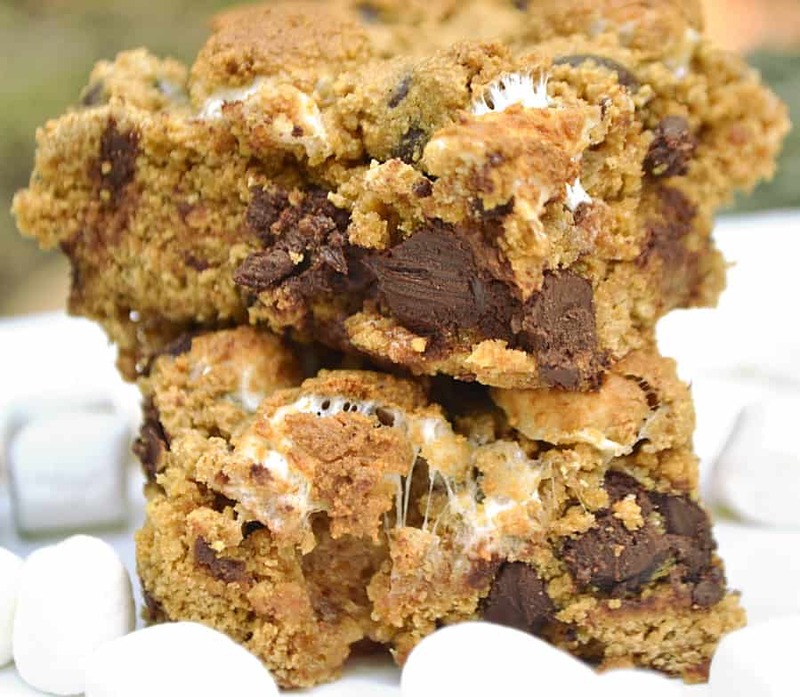 I hope you absolutely love this S’mores Cookie Bar! Thanks for stopping by! Happy Baking! 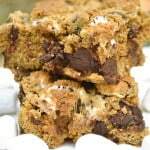 Indoor S'mores Cookie Bars made with graham cracker crumbs. Quick, Easy, Ooey, Gooey, Chewy, Crumbly & Delicious. Ready in 30 Minutes. Fold in marshmallows. These won't really mix in, just make sure they are evenly distributed throughout mixture. Bake for about 25 or until top starts to turn a light golden brown.